The Adam and Maria Sarah Seybert Institution, known as the Seybert Foundation, announces the upcoming departure of its Manager, Diana Loukedis Doherty, and the appointment of Theresa Jackson to the Manager role beginning in February, 2019. Doherty has served as the Manager of Seybert since 2011 and guided the board during a period of significant growth and change. According to Seybert Board President Rich Sedmak, “Diana has played a major role in the bold steps that Seybert has made over the years, both in helping us create a more diverse, inclusive Board of Directors, including representation from Philadelphia youth, and in prioritizing general operating support and multi-year funding in our grantmaking program . 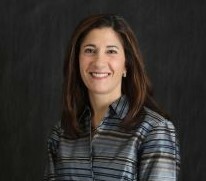 Our Board is truly grateful for her support and leadership over the years .” In 2017, Doherty was instrumental in Seybert’s merger with the Western Association, another private foundation, a move designed to be a model for how small foundations could merge assets to create greater philanthropic impact with lower operational overhead. 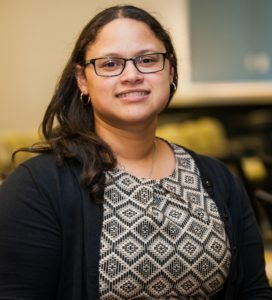 She also serves on the Board of Directors of Philanthropy Network Greater Philadelphia, where she first met Jackson, the organization’s Director of Learning and Knowledge Management. “I am thrilled that Theresa Jackson will be succeeding me in the Manager role at Seybert,” Doherty says, adding, “With her depth of philanthropic knowledge and her commitment to diversity, equity and inclusion, Theresa is absolutely the right person to help Seybert’s Board continue its innovative efforts into the future.” Sedmak agrees, adding, “The Seybert Board is pleased to welcome Theresa Jackson and we look forward to her contributions to our forward momentum.” Doherty will continue her work with the region’s philanthropic community through her management of BLBB Charitable and assuming the role of Executive Director of the VNA Foundation of Greater North Penn in Spring, 2019. Notes Sidney Hargro, Philanthropy Network’s Executive Director, “The Network has benefited tremendously from Theresa’s dedication as a leader on our staff and Diana’s service on our Board, and I am delighted that these exciting transitions in both of their careers will keep them both closely connected to the Network for years to come.” To learn more about Seybert Foundation and its support of nonprofit organizations serving children and youth in Philadelphia, visit www.seybertfoundation.org.